A media center designed as a rolling cabinet for flexibility of the architectural space. 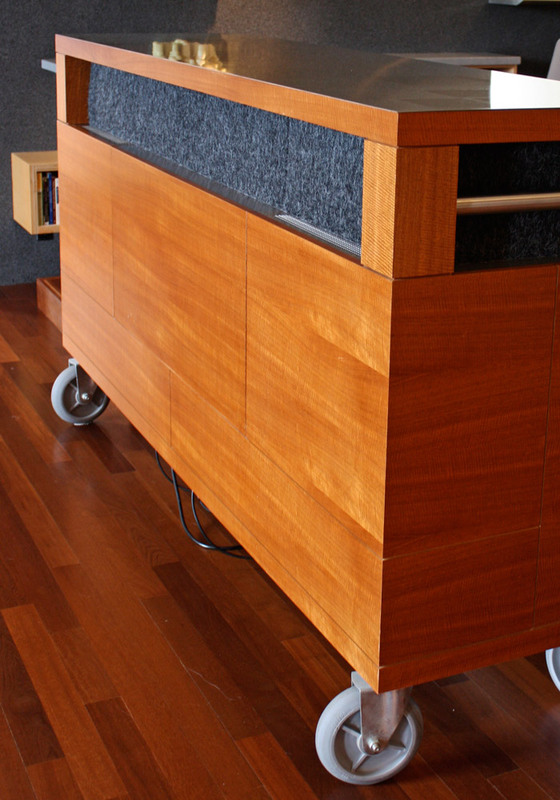 The Afromosa veneer cabinet houses video and audio equipment while a coiled cord plugs to a floor outlet. Waldo sits at the edge of a raised platform for viewing. Rolling the cabinet out of the way allows the conversion of the platform space to a performance stage. Speakers for audio are behind black mat mesh flooring.